Following the concert on Sunday night we headed south from Sapporo airport for the next leg of the tour, the fantastic city of Tokyo. We were all excited to reach the capital, and with an afternoon free we quickly departed our hotel to explore some of the sights. First off was the stunning temple Senso-Ji. This is situated in the area of Asakusa, which according to legend was miraculously fished out of the nearby Sumida-gawa river by two fishermen in 628 AD. Leading up to the temple is Nakamise-dori, a bustling shopping street boasting a diverse range of Japanese souvenirs including beautiful silk kimonos, chopsticks, teas and rice crackers. Being in Japan you have to experience Sushi, so 3 of us ladies in the band filled up on a traditional sushi dinner, then jumped at the chance of using the hotel’s relaxing spa facility. A well deserved rest after a busy few days! After lunch we set up for an afternoon rehearsal at Sumida Trifony Hall. This is close to Tokyo’s Eiffel Tower lookalike, Tokyo Tower. The large audience of close to a 1000 were again very warm and welcoming. 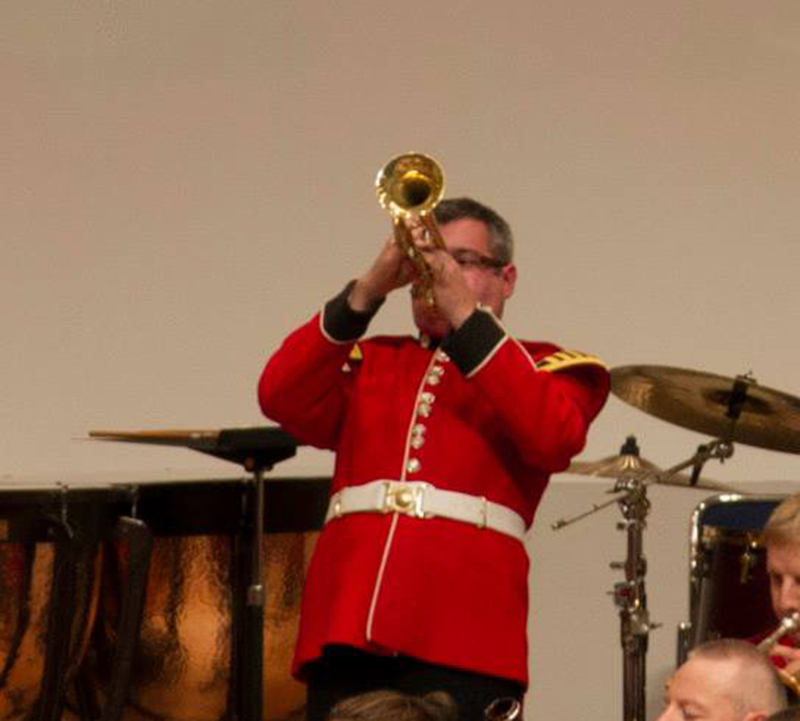 The soloists featured in the concert were Lance Corporal Chris Dymott on the vibraphone performing ‘Tribute to Lionel’ by Andre Wagnein, Colour Sergeant Dave Wright on his Flugelhorn and Musician Chad Barrigan on his classical guitar, yes we use guitars in military bands, performing together in ‘The Children of Sanchez’ by Chuck Mangione. 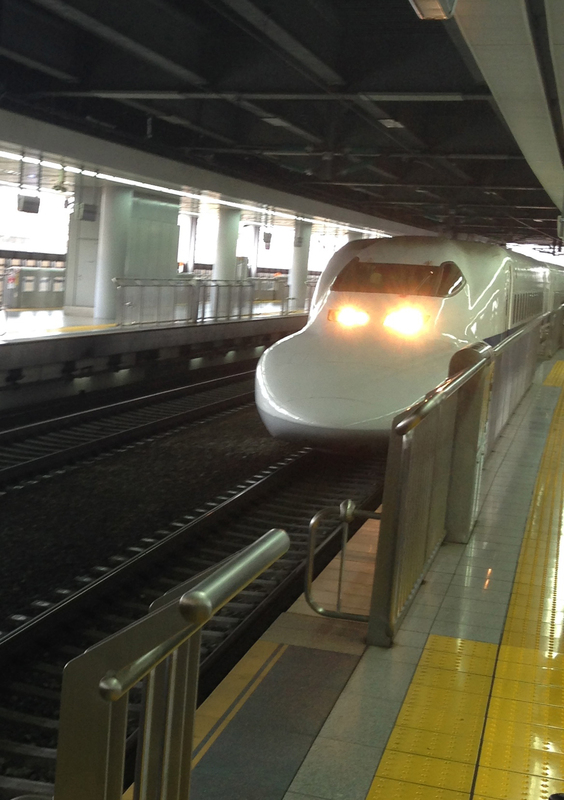 The following morning the Band boarded a shinkansen, more commonly known as the Bullet Train to the city of Nagoya. This high-speed train reaches speeds of up to 300km per hour and ate up the 300+ km journey in no time and arrived bang on time, unlike our daily commutes in London! Our venue tonight was Aichi Prefectural Arts Theatre Concert Hall, previously visited by the band on the 2011 tour. Whilst engaging with some of those attending prior to the concert, one audience member produced photographs with band members from the concert in 2011 after buying a record-breaking twelve CDs – clearly our number one fan that I expect also follows us online. Tonight’s soloists were our lead violinist Lance Corporal Helen Betteridge performing an arrangement for violin and wind band of Danse Macabre by Camille Saint-Saens and Sergeant John Storey (euphonium) with Carnival Cocktail by Steve Sykes. Lance Corporal Sam Smith surprised the audience by sneakily including a well-known Japanese tune, Furasato, in his cadenza as part of Cossack Fire Dance by Peter Graham. We want to come back! This tour has been a fantastic experience for all members of the band and When we joined up we never expected to travel to such an exotic and exciting place, we hope we can get to revisit Japan again very soon, raising the profile of the Corps of Army Music and indeed the UK. 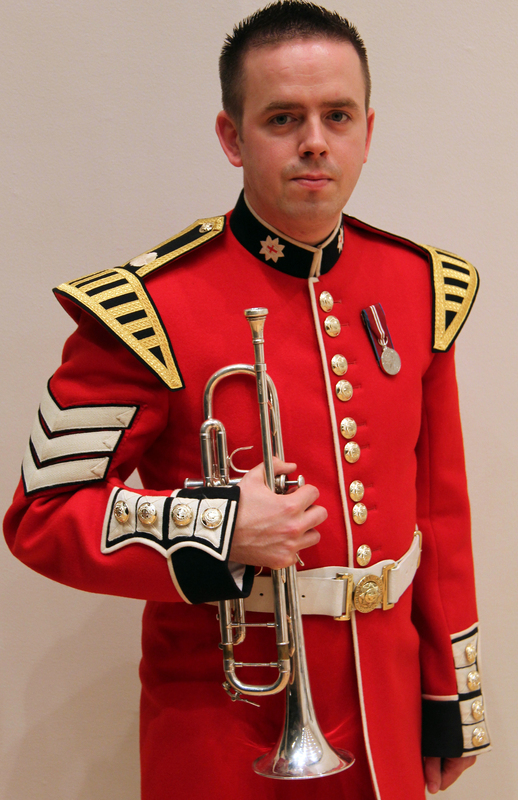 Lance Sergeant Rob Parry is assigned to the Band of the Coldstream Guards, Corps of Army Music (CAMUS). He is currently on tour with the band in Japan, just one of the many countries musicians from CAMUS has visited in the last 12 months. I am very lucky that this concert tour of Japan will be my fourth with the Band of the Coldstream Guards (CAMUS). It is a trip that I always enjoy and look forward to time and time again. 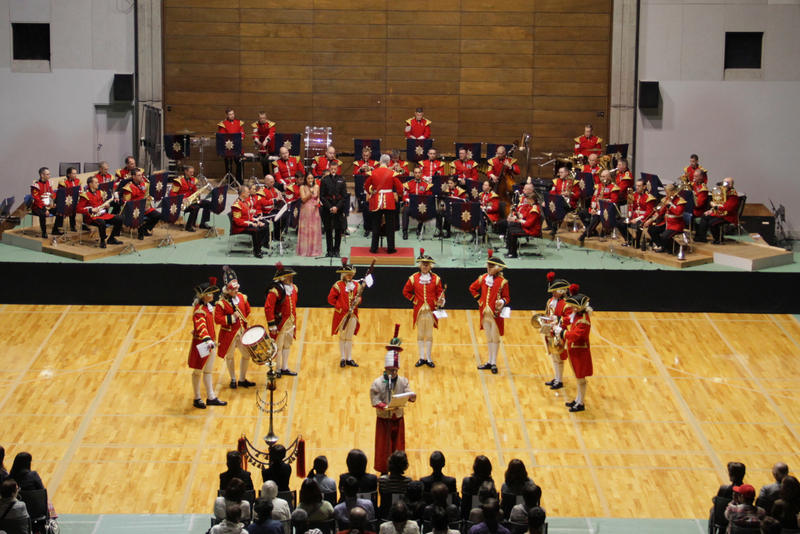 This time around, 2 weeks of concerts in some fantastic venues and to sizeable and enthusiastic audiences has been slightly augmented with a number of marching band appearances at events connected with Japan400 a commemoration of the 400th anniversary of Japanese/British Relations. After the lengthy 15-hour flight from Heathrow via Incheon Korea, the Band landed safely at Chitose airport on Hokkaido, Japan’s second largest island and at its northern tip, finally arriving in Obihiro at 0005hrs local time. The tour began later that day having unloaded the freight, followed by an afternoon of rehearsals. An opening marching sequence, 18th Century band display, vocalists and the Scots Guards Pipes set all have to be tailored to the individual concert venues. Needless to say, rehearsals went well and the Band was sounding good despite the jet lag. 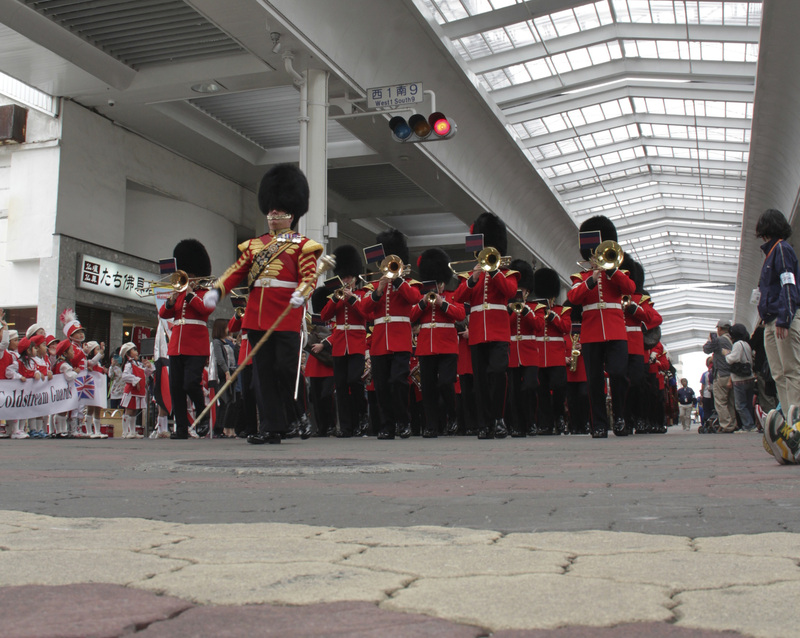 Our first performance was a short parade in downtown Obihiro. Before we stepped off, the waiting crowds were treated to an excellent performance of singing and drumming by the Tsukushi Kindergarten Marching Band. We then performed a selection of music from the James Bond films, Best of Bond, which proved to be very popular with the crowds. Later that day, our first concert was held at Obihiro Gymnasium. Not a venue we have visited previously, the Band was made to feel very welcome by an audience in excess of 1000. The 18th century band in their tights and cod pieces were received extremely well with some excellent Japanese compèring by CSgt Martin Brooke – a veteran of 11 Japanese visits! We are also very fortunate to be joined on this tour by the Korean Soprano – Yoon-Jeong Hwang. She performed with the Band, I Dreamed A Dream from the hit musical Les Miserables. 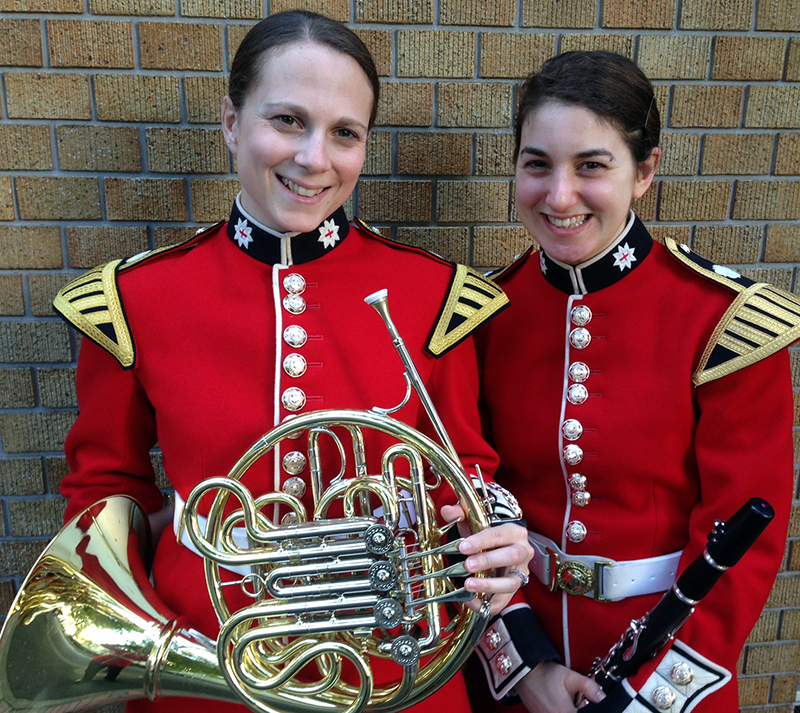 There were also solos from within the Band; Sergeant John Storey played Carnival Cocktail on euphonium, and Lance Corporal Helen Betteridge played Danse Macabre on violin. A quick turn around at the end of the concert was required as we had a three-hour coach journey to one of my favourite Japanese cities, Sapporo. Sapporo seems so familiar to me and always feels like we, as a Band, have come home. Previous tours have started here and it never fails to get everyone in high spirits. The concert hall here is without doubt one of the finest in the world, the food is excellent and night life – buzzing. A slightly more relaxed day, however, with the concert starting at 1pm, rehearsals were short and sharp in order to leave plenty for performance. The Director of Music’s Japanese is getting better by the day, and the audiences appreciate the use of their language. Again we were joined on stage by Yoon-Jeong Hwang, who sang a duet with our very own Lance Sergeant James Scott, called Isn’t It A Pity. Later in the concert Yoon-Jeong Hwang also sang Memory from Cats and I Dreamed A Dream, which drew lots of applause from the audience again in excess of 1000. 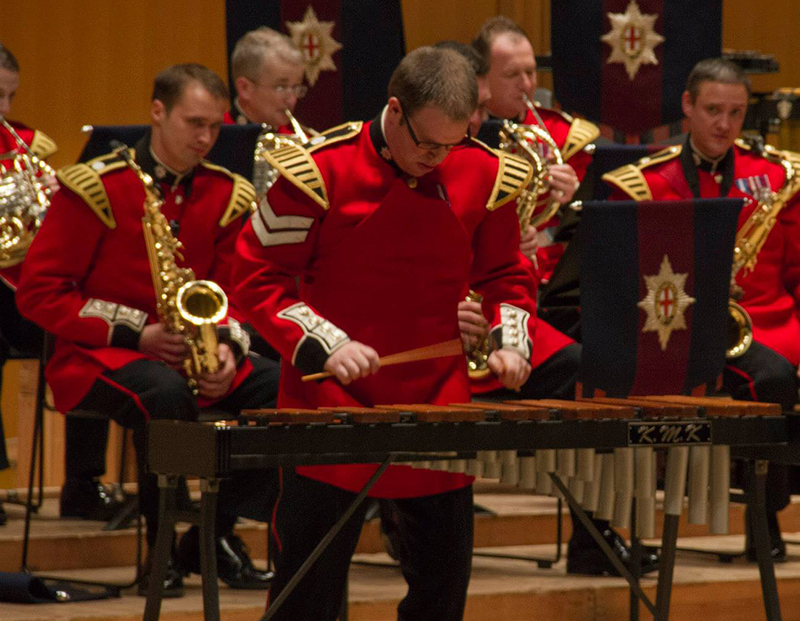 Lance Corporal Gav Hall and Lance Corporal Chris Dymott were the lucky soloists in such a fantastic hall, playing the cornet solo From The Shores Of The Mighty Pacific and vibraphone solo Tribute to Lionel. After the concert, a small group of us went and tried one of the local delicacies. A barbecue pot is placed in front of you with an iron top, which you then cook lamb to your liking, accompanied by rice, bean-sprouts, soy sauce and a glass of the local brew, it was delicious and a great finish to the day. It is with a fond farewell that we leave Sapporo, onwards to Tokyo to another familiar staging area for the Band as we travel from North to the South of Japan.